Hello! My name is Ashley and my latest obsession is all things roses. Throughout the summer I have been collecting a ton of rose-scented bath and body products, many of which are from Lush! Rose Jam is my absolute favourite scent from Lush. It is actually so popular that it's currently available as a shower gel, but for the holiday season only. I'll be buying the shower gel in bulk loads when it's finally available in stores but for those who are impatient you can find it on the Lush website! And anyone who knows of and loves Rose Jam as much as I do probably already has Ro's Argan as well. The two are a match made in heaven; sweet, rosy, and soooo luxurious. But for an epic(!!!) rosy pink bubble bath, I like to add Turkish Delight into the mix. I take the rose obsession to a whole other level, I know. I went to Portland in July with a few blogger gal pals and with the intention of picking up Jo Malone Red Roses. Long story short, I came back empty handed because I couldn't choose between Red Roses or Eau Rose! Then I was struck with a big case of regret and non-buyer's remorse (it's a thing, even if I made it up!). However, as luck would have it, my best friend ended up going to Portland a few weeks later and helped me pick up my almost missed pretty! I'm glad that I chose Eau Rose in the end because Red Roses tends to turn rancid on me after only two hours of wear. Dipytque, on the other hand, does not. 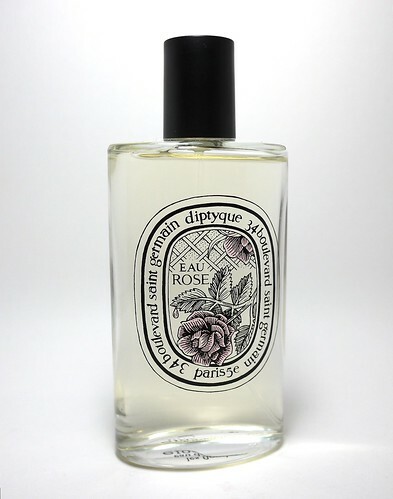 It doesn't last long (4 hours, maybe 5), but I appreciate the sweetness of Eau Rose and the fact that it isn't a straight up replication of a rose. 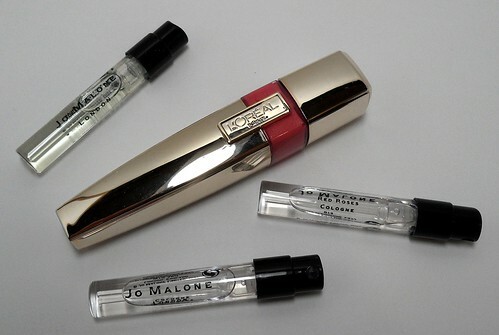 Last but not least, honorable mention goes to L'Oreal Colour Caresse Shine Stain in Rose On and On. This lip gloss/stain hybrid doesn't smell like roses, but it did inspire the blog title so it deserves a shout out for that not to mention it is a very pretty lip stain! I want more now that I think about it... Anyway! I know it's been quite some time since the last post and I realize how rusty I am at the whole blogging thing but here's to trying it again! Many of you may or may not remember but this giveaway was supposed to happen many months ago... I ended up forgetting about it (oops!) but while I was clearing out my room the other night, I found two neatly wrapped prizes ready to be won & shipped! This giveaway is also split into two prizes; one for an international follower and another for a domestic (US/Canada) follower. 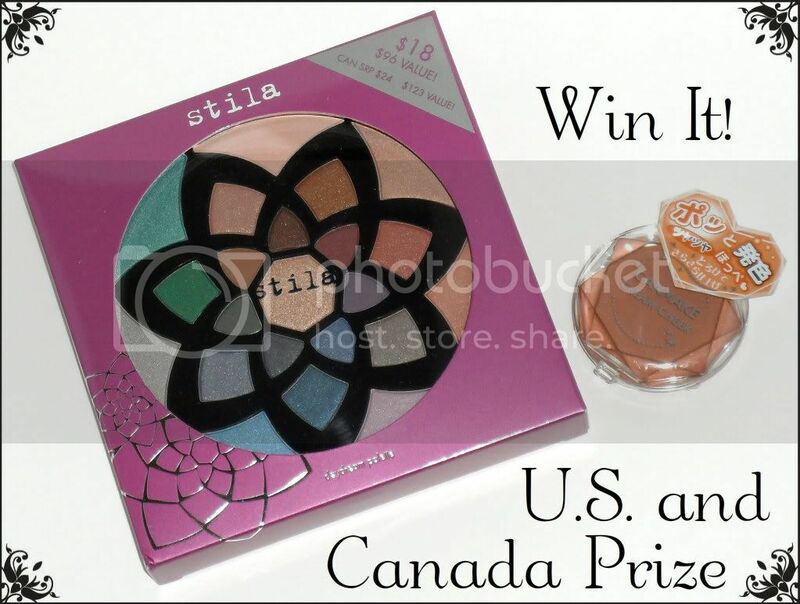 Hopefully this giveaway will make two Makeup Kismet followers very happy! 1. Giveaway will end on April 17th, 2012. 3. Must be 18 or have parental/guardian permission to enter. 4. Must be a follower through Google Friend Connect, Bloglovin' or Twitter or email! However, I will disqualify entrants if their accounts are strictly for signing up in blog giveaways. 5. Must leave a comment below (about anything!) with your Twitter handle (if you followed through Twitter) and email address that I can contact you with! 1. 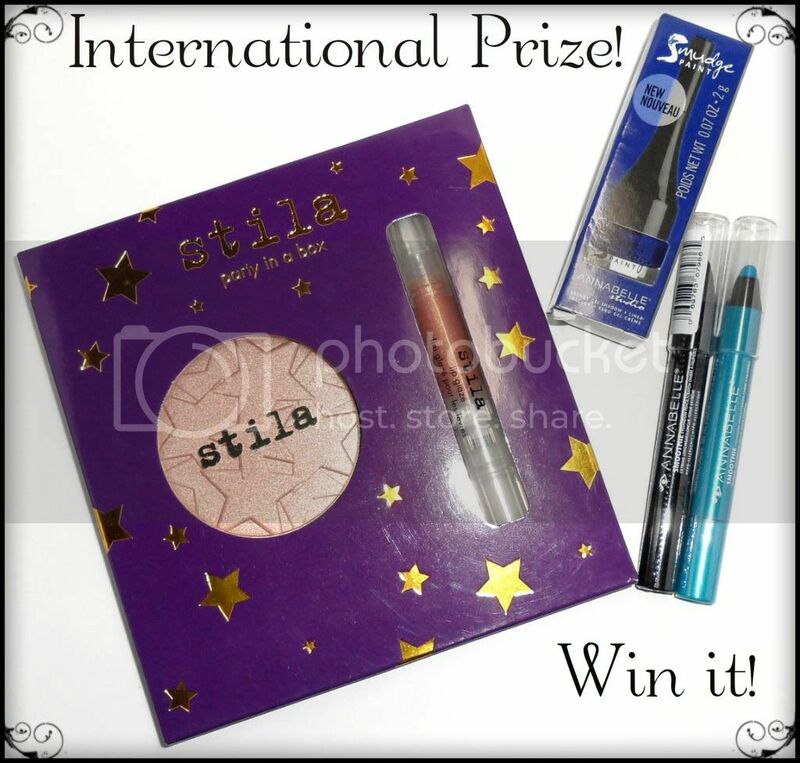 Post about the giveaway on your blog (+1). It can be a post, sidebar photo (with a link back to the giveaway), but only do one! There are no extra entries if you do it all. 2. Tweet about the giveaway and leave a link in the comments below (+1). Okay, okay I know I'm majorly late on the New Year celebrations but whatever. Better late than never, right? We're far into January now but I seriously wanted to blog at least once this month. Don't worry, this won't be a recap of 2012 but more a long the lines of a haul with quicky reviews. Most of the products were purchased near the end of December and a few during this month but all of which were tested recently. Shampoo isn't something I splurge on but that isn't to say I'll settle for any cheap drugstore shampoo. Aside from a low price I also need my shampoo to be sulfate-free and smell phenomenal. Andalou's Argan & Sweet Orange scented shampoo smells like orange creamsicles! The scent is very light and doesn't linger which saddens me but it is still the second best sulfate-free shampoo I've tried so far (Alba Botanica's Colorific Plumeria is #1!). It foams up easily but doesn't leave the scalp feeling dry and scaly. It also leaves my hair soft and I frequently skip conditioner when using this shampoo. When I first read about this hair oil on Jessica's blog Getting Cheeky I knew I had to try it. Unfortunately for me, this is the one Klorane product not available in Canadian stores. Months later I enlisted the help of Mr. Waffle (my wonderful SO and mule) and purchased a bottle through Drugstore.com. I tried it a few times but so far I only like the smell of the oil. Someone on Soompi posted a picture of Hurraw! lip balm and my lip balm addict self had to try one out too. My good friend E helped buy this for me at UBC's book store but we've since found out American Apparel carries a decent selection of the brand's flavors. The scents are very accurate to the flavors but the balm itself isn't the balm-b (get it, bomb? balm-b? LOL). It's a thin balm that doesn't last for more than 2 hours but when you're hankering for a yummy smelling lip balm, Hurraw! will have you covered. That's about it for this post but I hope you liked it! 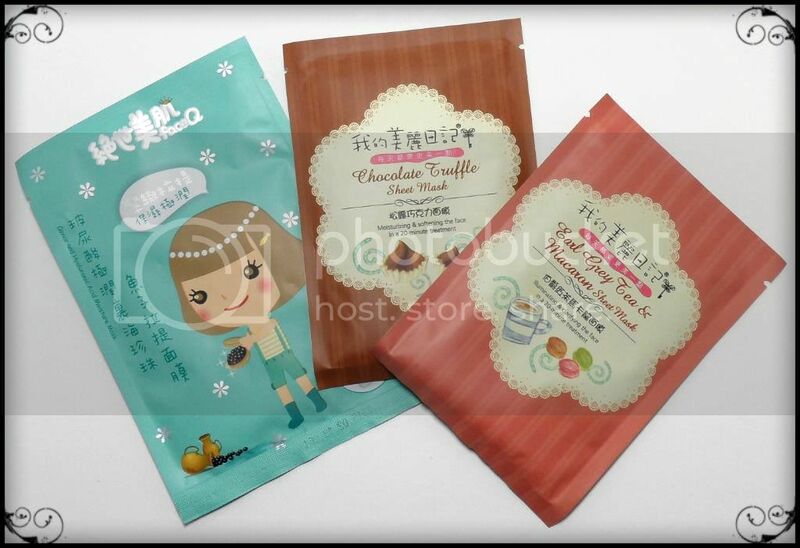 I certainly enjoyed trying out different brands and discovering new favourites. It felt like I was swimming in the same pool of brands and featuring the same products over and over again last year but now it's time for change! Who's with me?! Wooooah! Is it really the end of 2012? Time flies by faster and faster each year. 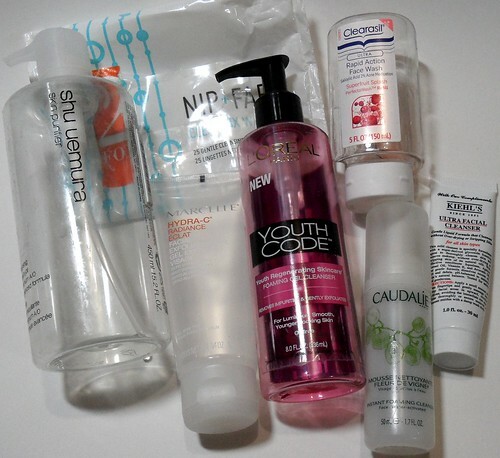 It feels like it was just yesterday I was writing my first empties post of the year. 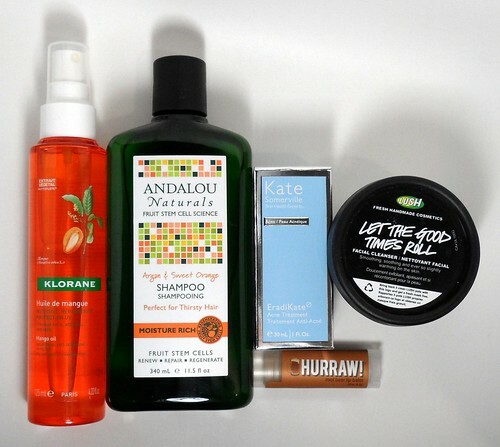 Alas, here we are reading about the last empties post of 2012! Kiehl's Olive Fruit Oil Nourishing Shampoo* smells lovely - light, sort of creamy - but that's all that I love about this shampoo. It makes my hair decently soft and tangle free but my scalp a dry, flaky mess. I still love The Body Shop's Rainforest Moisture Hair Butter and I have another backup of it in my drawers. 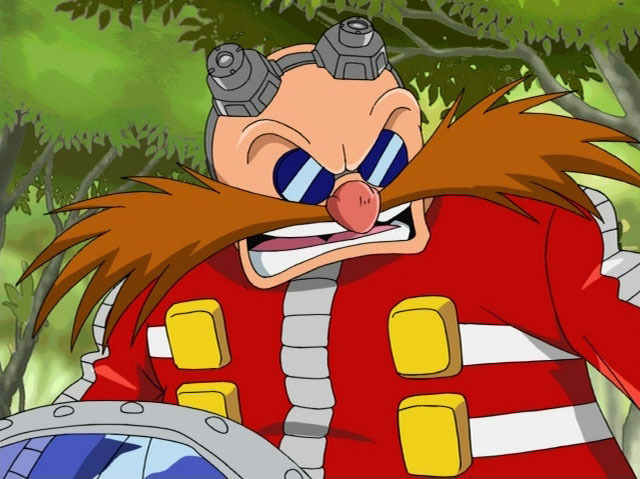 But, I think I'll try Essential's Ultra Honey Hair Mask at the start of 2013, just cause y'know? 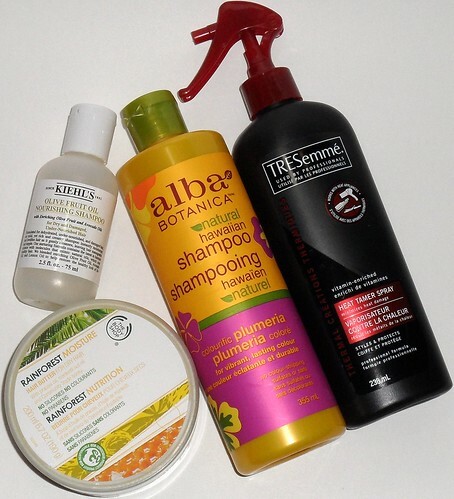 The Alba Botanica Natural Hawaiian Shampoo in Colourific Plumeria is my favourite shampoo ever. Everyone has a signature scent and then there are the few that have a signature hair scent. I used to be very wishy-washy about my hair and used what ever smelled decent but now I strictly use this. The SLS-free shampoo foams up like regular shampoos but leaves my hair even softer and scalp not as dry nor itchy. It's THE shampoo for me! The TRESemmé Thermal Creations Heat Tamer Spray has been sitting on my bathroom counter for years. There's actually two of them but one is missing, obviously. I hardly use this when curling or flat ironing my hair but when I do I don't find this makes a difference. Hair serums/oils do a better job of protecting, providing shine, and taming frizz. My first forray into the cleansing oil was with the shu uemura Cleansing Beauty Oil Premium A/O Advanced Formula. It took me two full years to finish and it wouldn't have taken so long if I didn't hate it so much. It smells awful and doesn't rinse off completely. The Kose Softymo Deep Cleansing Oil is much more satisfying, that is all. NIP + FAB Clean Fix Wipes are surprisingly good! It doesn't remove waterproof mascara but regular eyeshadow is fine. Though I must say it has stung my eyes on a few occasions but lucky not my face. Marcelle Hydra-C Facial Exfoliating Gel is the first Marcelle product I have come to dislike. It's not a bad exfoliator but it's just too gentle for my liking. There's much more gel than exfoliating beads but this makes it great for everyday use if you have normal skin. L'Oreal Youth Code Foaming Gel Cleanser, Clearasil Rapid Action Face Wash, Caudalíe Instant Foaming Cleanser, and Kiehl's Ultra Facial Cleanser - these cleansers are "meh". I mainly used the L'Oreal and Clearasil cleansers to wash face clothes and makeup brushes. The Kiehl's cleanser is gentle and non-drying which is great but the Caudalíe foaming cleanser is the exact opposite. This can of h2o+ Oasis Mist is fairly old. It served its purpose well and a repurchase is likely in the future. The mist is much finer than the Avène Thermal Spring Water or Evian facial spray. Also, the h20 didn't die out 3/4s into the can like the Avène spray did. Though, the packaging has changed so maybe I won't like it the second time around. Yes, that is TWO Cake Milk Made Velveteen Hand Cremes that you're seeing. It's tricky to finish hand cream quickly because I rotate four tubes at a time. I keep one at my desk, one at my bedside table, one in my car, and another in the washroom. Milk Made sinks in quickly without that icky, greasy look and feel in the winter. However, it's a bit heavy for the summer. I still highly recommend it and I've gifted it to many friends over the years! Lush's The Jilted Elf Shower Jelly didn't make a return this year for Lush's holiday collection but this tub is from 2011. The scent is very warm and spicy, not something I go for normally, but it's perfect for the holiday season. If Lush had made it into a shower gel instead of a jelly, I would have finished it sooner. The Jell-O like soap is too flimsy in the shower and even when frozen it won't be solid like a bar of soap. Miranda on the other hand is perfect and a permanent product. The soap doubles up as an exfoliator and smells fruity but not too sweet. eos Smooth Sphere Lip Balm has been talked about enough and Kiehl's Creme de Corps as well. There's too much hype surrounding both items. 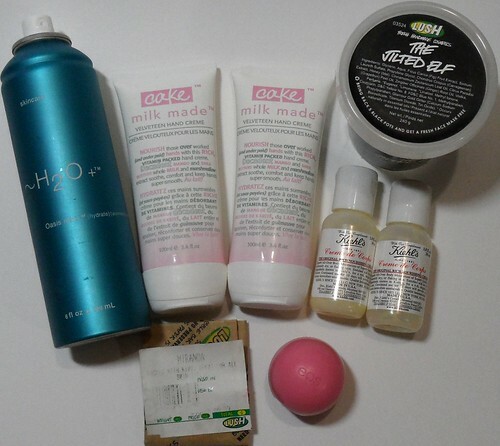 The lip balm is too light and doesn't hydrate the lips for very long and the body lotion is too heavy. It certainly moisturizes the skin but at the cost of greasy feeling skin. 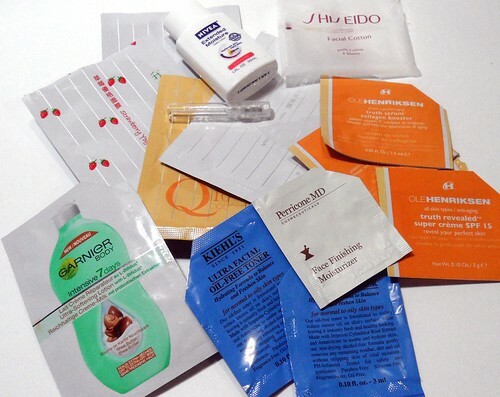 My Beauty Diary Sheet Masks (count: 4) and samples packets (count: 11). Total? A million! Okay, maybe not a million but 56.6 isn't as impressive... I've changed how I calculate deluxe samples and sample packets so my total is less than last year's but whatever. The important thing is that I've emptied a lot and I will continue to do so in 2013! How about you? Were you an emptying machine this year? Have any plans to be one in 2013? Make-Up Kismet is a personal blog written and edited by myself. This blog was created to share my experiences with whom ever reads it. All reviews posted are written by me and are my honest opinions. All products reviewed are purchased by me for personal and/or review purposes unless stated otherwise. Each person is different, as are our experiences. With that said, I cannot be held responsible for any unsatisfying reaction to a product I review or recommend. Photos on this blog are either from Google, other Bloggers or, my own. I try to depict all products as accurately as possible. I may edit photos for this purpose.